Marianne Jessica are a family run business started by Marianne Jessica Horton. After working for many years in the fashion industry both in London and Canada, Marianne decided to set up her own label in 1977. Designing and selling silk lingerie and wedding dresses to the likes of Harrods, Fortnum & Mason, Liberty, Bloomingdales and other renowned store as well as one off commissions for various International Clients. Marianne was joined by her daughter Michele in 1983 and the two of them have continued to work together ever since. Although they now buy from various well-known designers they try to keep the essence of the Marianne Jessica label alive in their choice of dresses and their commitment to the brides. 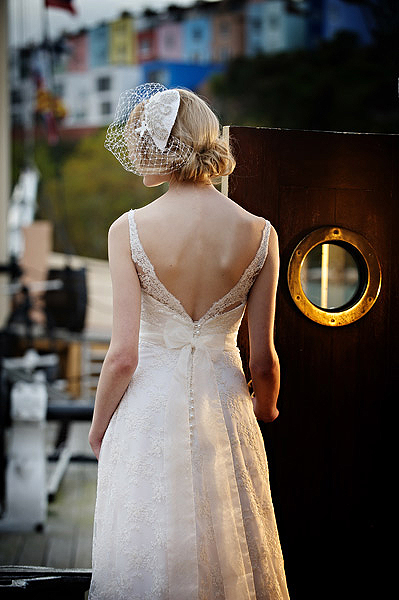 All of their dresses are professionally fitted and altered by their own in-house team to ensure the perfect fit. Marianne Jessica stock a wide range of bridal dresses by designers such as Anoushka G, Augusta Jones, Chanticleer Brides, Forget me Not designs, So Sassi and Rita Mae! When visiting the Bromley bridal studio expect to receive a warm and friendly welcome, one to one service and the best and most knowledgeable advice available on the high street.